This merely confirms what we’ve suspected for some time: the U.S. is in no hurry to leave Syria and seems intent on keeping some sort U.S. military presence in the country for some time to come. This despite President Trump saying just 5 months ago that he wanted to ‘get out of Syria‘. Or that the Islamic militants that the U.S. was supposedly fighting have been all but defeated and that Syrian President Assad never invited the U.S. military anyway. In fact President Assad warned America in May that its military should leave the country but instead of leaving Trump has now agreed to an “indefinite” stay in Syria. In effect this constitutes a hostile act that is little short of a declaration of war. Indeed, unless U.S. forces in Syria are very careful this is exactly what could happen. 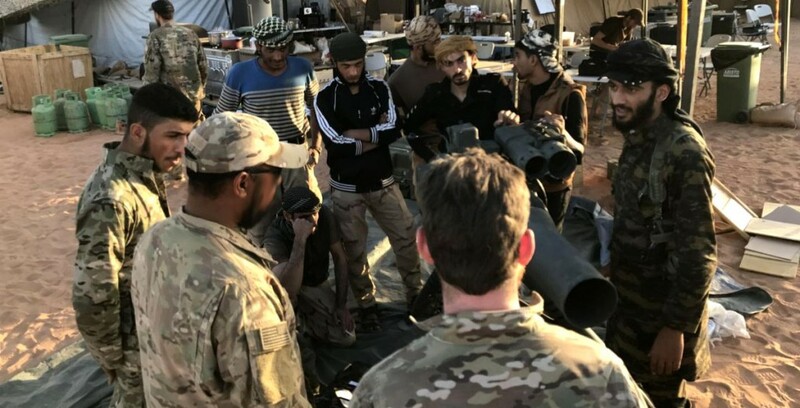 As U.S. forces in the country could easily clash, maybe inadvertently, with Russian and Iranian forces both of whom were invited to Syria, or with the Syrian forces themselves. In the light of this Trump’s commitment to an “indefinite” military effort in Syria seems like a sure fire recipe for further conflict. Is this the intention? Because that is certainly where this could end as Trump has just betrayed the very people who voted him into office. Ed. Although the military campaign against the Islamic State has been nearly completed, the administration has redefined its goals to include the exit of all Iranian military and proxy forces from Syria, and establishment of a stable, non-threatening government acceptable to all Syrians and the international community. Much of the motivation for the change, officials said, stems from growing doubts about whether Russia, which Trump has said could be a partner, is able and willing to help eject Iran. Russia and Iran have together been Syrian President Bashar al-Assad’s principal allies in obliterating a years-long effort by domestic rebels to oust the Syrian leader.